March of Time, in 1946, did a feature on the boom in night clubs in the United States. For relevant numbers, March of Time cites that there were 70,000 nightspots in the U.S. is 1946. In the central hub of night clubs in the 40’s, New York was home to several thousand of that number. Clearly nightclubs were prevalent in society, so the roles that employees took in such spaces may reasonably reflect the standard across the U.S. at that time. It is incredibly striking how much March of Time emphasizes the various important role’s that females play in nightclubs. However, is is equally disappointing to see the women constantly referred to as objects for monetary gain. In most clubs, the checkroom girls are hired at a fixed salary by an outside concessionaire. He picks them for the kind of personality that will attract tips and everything they collect goes into their employer’s box, which is securely locked. The rhetoric implies a distrust to these girls, and emphasizes that their social interactions are strictly for monetary gain. Certainly, it would not have hindered the narration to indicate the useful service that these women provided for the nightclub. In contrast to these women, the head waiter does not need to put his money in a lockbox to give to the employer. Rather, the head waiter is seen dealing with thrifty costumers by putting them at poor tables until they tip him generously. On screen, the costumer is seen giving the head waiter a $5 bill to change seats. This was drawn in direct opposition to the checkroom girls who received a half-dollar and needed to put it in a check box immediately. 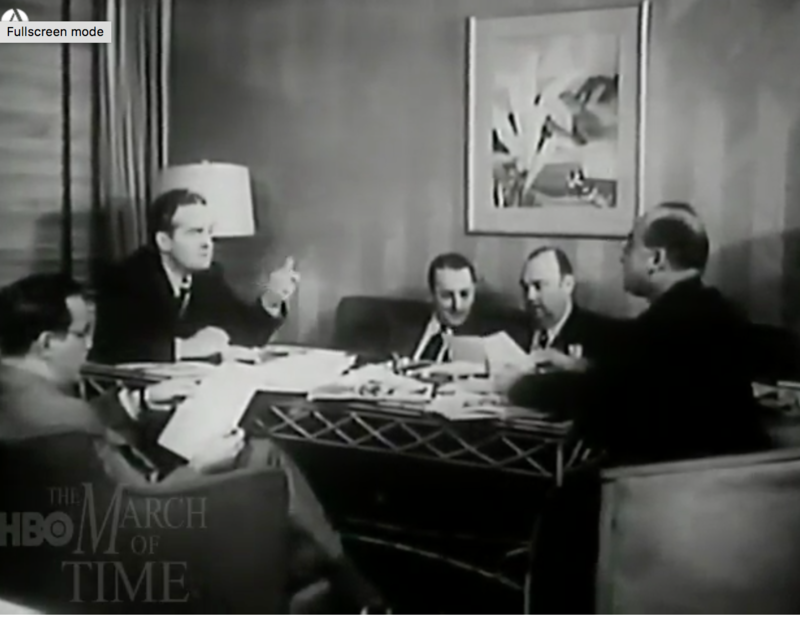 This March of Time documentary short was meant as an education tool for those who did not go to nightclubs to understand their “social order.” The depictions in this documentary continue to label the women in the nightclub business as objects to be examined and payed according to their visual aesthetic while labeling the men in the nightclub business as individuals who grant a service. This, of course, reflects the social attitudes of mid 20th century America. Nevertheless, it is valuable to examine and take note of such subjugating examples because patriarchal attitudes certainly have not died out by the year 2017. The value of this documentary short, specifically for american music, is its emphasis on nightclub culture. 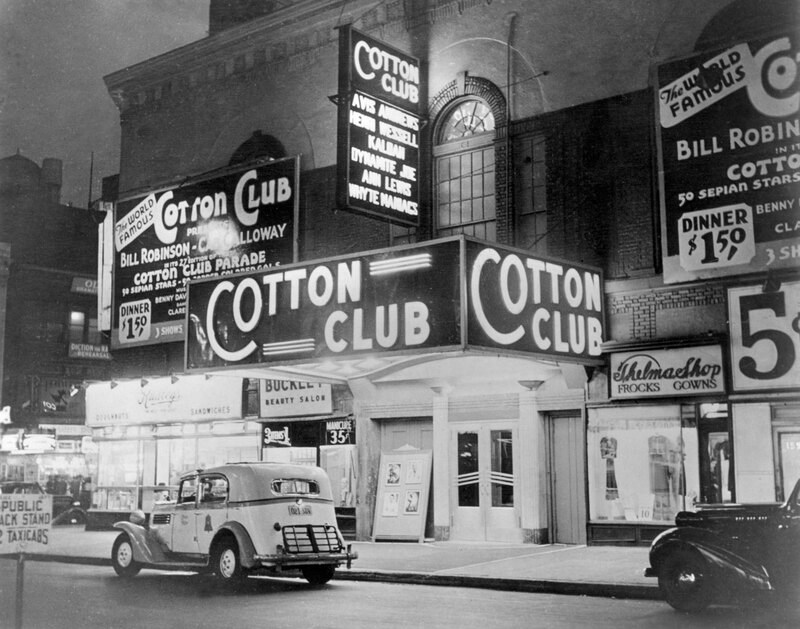 In the postwar era, genres such as bebop was born in late night club sessions (after the patrons would leave), but most of the music being played was dance music. The music itself is mentioned a number of times as an important key to success for any nightclub, but the individual musicians are never mentioned. This attitude toward musicians views them as providing a function service (much as how the checkroom girls are presented). These social situations are what provided the motivation for beboppers to focus their music on their own personalities. One of the most prevalent clubs in Harlem was the Cotton Club, where Duke Ellington played frequently. Although Duke was not mentioned in the video, his music was played throughout. Therefore, I have left a song here for you to enjoy. 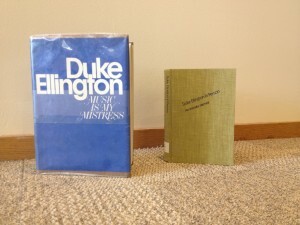 Cows, Colleges, and Duke Ellington? As is often true of historical sources, this opinion on Ellington’s orchestra tells us more about the reviewer than the music itself. Duke Ellington’s career was on the decline by this point in the 1950s. He was focusing on writing sacred music and toured playing his most popular pieces. The author of the article points out that Ellington mainly played works that the audience knew and refers to Ellington as an “institution”. Even though the concert may not have been as musically perfect as the audience expected, they still knew that Ellington was an important part of history. 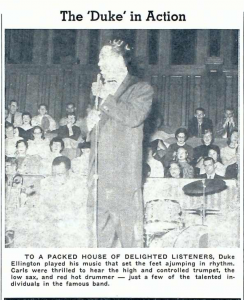 Already, just a few decades into his career, Duke Ellington was a sacred relic. This quick institutionalization of jazz figures is also reflected in the records of the time. While searching through the St. Olaf Halvorson Music Library for records of Ellington’s made around the late 1950s, I found it difficult to find a single record of Ellington’s music alone. The early solo record of his on file is from the 1970s. One record I did find from around the time was part of a Library of Congress series on Jazz music. Ellington appeared once on the record. It seems as if the effort to collect jazz and codify it as a genre began at the same time as the art form itself. This tradition of feeling a need to preserve and codify art forms like jazz was passed down from Blues collectors who also felt a need to define their genre. These two artifacts, in particular, illustrate the incredible spread and popularity of jazz throughout the country. However, they also represent the way white audiences controlled what music became popular and marketable, as well as the way jazz musicians’ careers depended on the benevolence of a fickle American public. 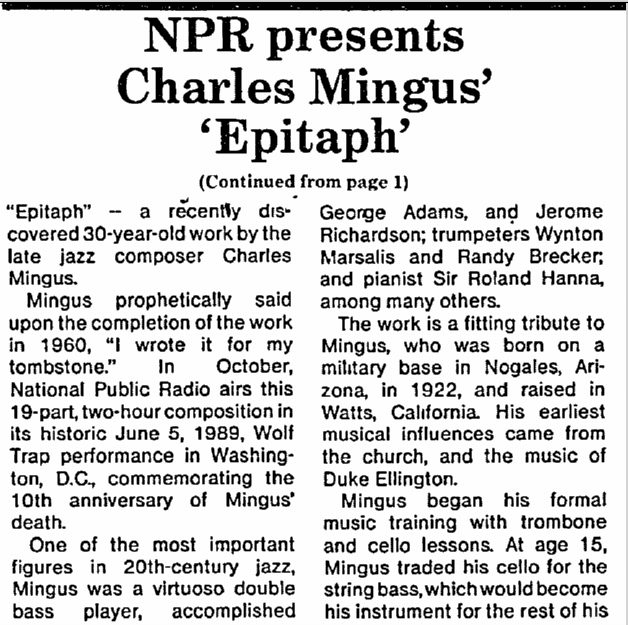 Mostly, however, I chose to write about this particular Manitou Messenger article because Duke Ellington came to Northfield, and Carleton didn’t like it. What a story. Hodeir, André and Gunther Schuller. “Ellington, Duke.” Grove Music Online. Oxford Music Online. Oxford University Press, accessed October 30, 2017, http://www.oxfordmusiconline.com/subscriber/article/grove/music/08731. Count Basie, a famed jazz pianist and jazz orchestra leader, wrote a tune called “A Study in Brown.” It sounds like the average big band tune, with ample time for piano solos. We can only make inferences about Basie’s reason for that title and tune, such as the fact that jazz’s roots are in improvisation styles popular in African American bands of New Orleans, African rhythms, and the blues. 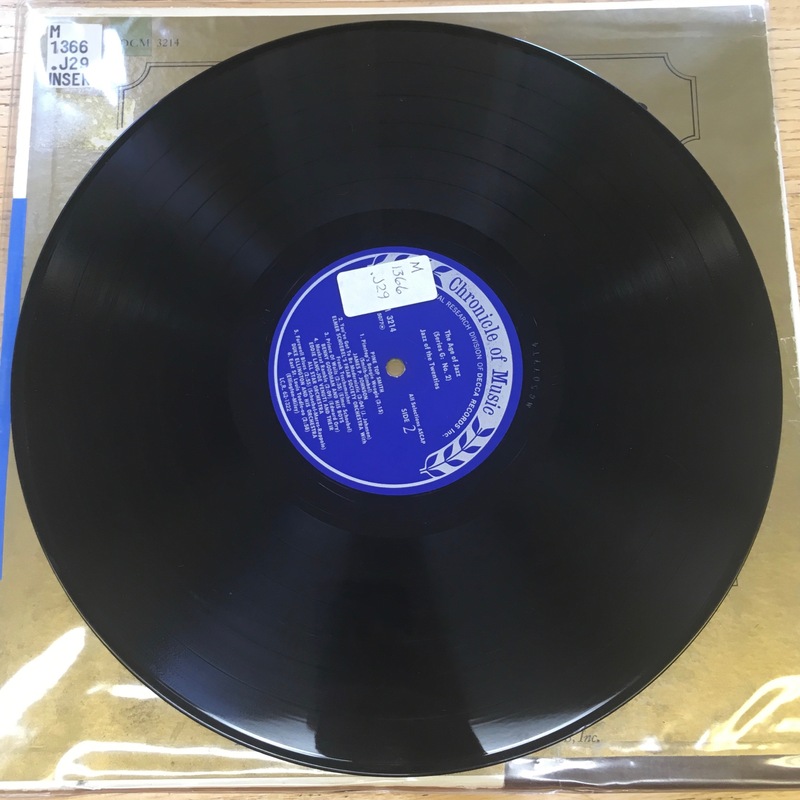 When Duke Ellington wrote “Black, Brown, and Beige” in 1943, the connections and program were more obvious because places in the music clearly imitated the sound of hammers, African American spirituals, and included some lyrics. Listen to how “A Study in Brown” is more elusive to a statement like Ellington’s. Furthermore, The Manhattan Transfer has made it popular by adding these lyrics. A dab or two, that’s how to do it. Hey dad! Mama’s gonn git ‘cha soon as you git home! But where’d why’fin’ th’ wicket? Certainly, this adds a layer of meaning, and perhaps not a good layer….On one hand, performing covers gives the music more recognition and audiences. However, the lines add a meaning that wasn’t present in the original song, with words that insinuate a certain situation that brown is “bathed in blues and full of drama…all the swing they needed so they would survive.” The lyrics are a white perception of a black musical lifestyle, and the instrumentation, primarily vocal imitation of instruments, has a much different sound and connotation than the original. Additionally, as Dai Griffiths says in his chapter on cover songs and identity, when comparing white and black performances of a song we can’t “underestimate the asymmetry of power between black and white.” We have to ask questions of power and exploitation when considering the Clinton and Manhattan Transfer covers of a Count Basie song. So, can covers be valuable? Perhaps we can’t go as far to say that they shouldn’t be allowed, but then how can we add layers of meaning with covers without exploiting/wrongly appropriating? How can we communicate the complexity of covers to the average person who will listen to the Manhattan Transfer cover and not even know Count Basie? Count Basie, performer, One Note Samba, Recorded May 11, 2009, Synergie OMP, 2009, Streaming Audio, Accessed April 6, 2015, http://search.alexanderstreet.com/view/work/1019835. This Is Larry Clinton, Recorded June 1, 2010, Hallmark, 2010, Streaming Audio, Accessed April 6, 2015, http://search.alexanderstreet.com/view/work/li_upc_5050457974817. Dai Griffiths, “Cover versions and the sound of identity in motion,” In Popular Music Studies, edited by David Hesmondhalgh and Keith Negus, 51-64, New York: Oxford University Press, 2002.